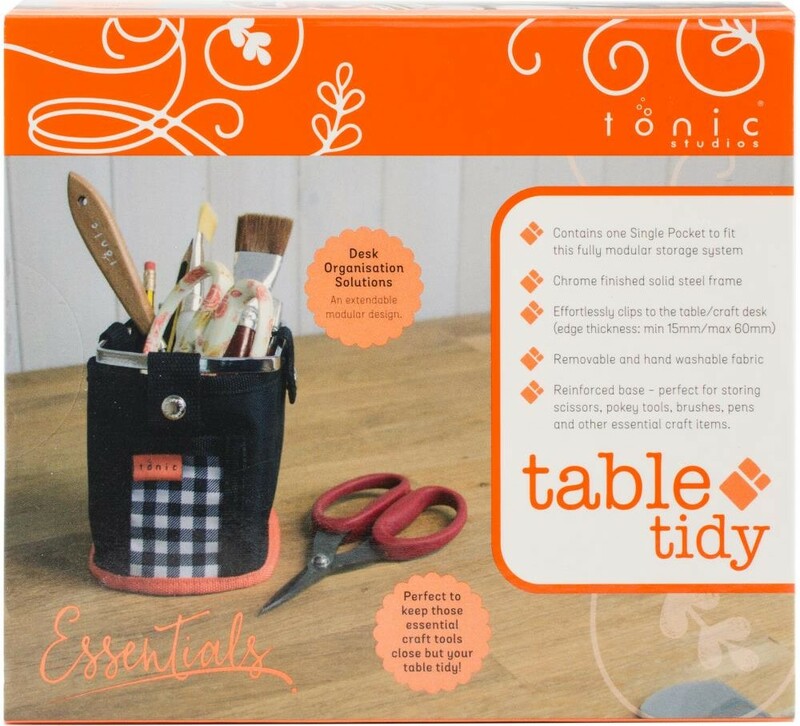 The Main Caddy is perfect for organizing a cluttered craft room. 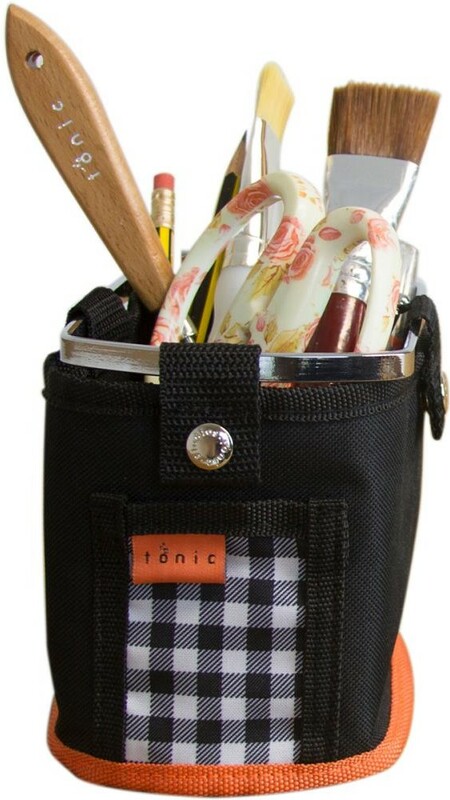 The reinforced base is perfect for storing scissors, pokey tools, brushes, pens and other essential craft items. The chrome finished solid steel frame clips to a craft or desk table (edge thickness: min 15mm/max 60mm). 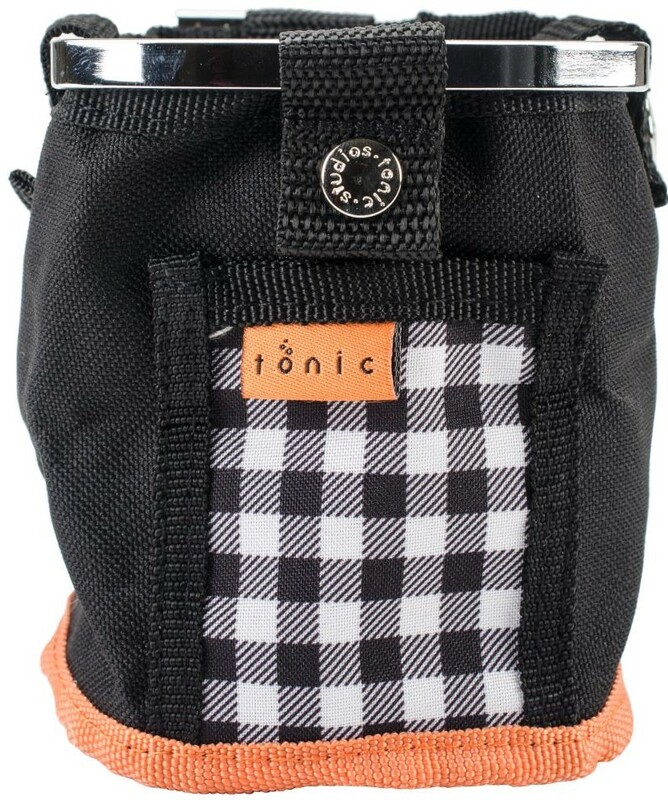 It features removable and hand washable fabric with a reinforced base. 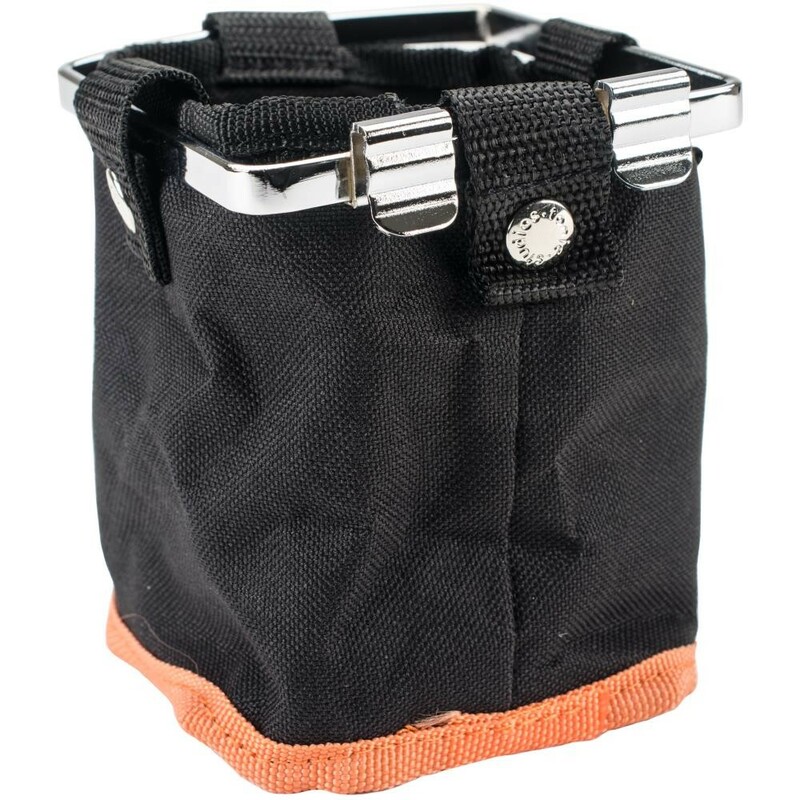 The Single Pocket (1644E) and the Double Pocket (1645E) easily clip on the frame of the Main Caddy to add additional storage or can be used separately.